As a gamer, most especially if you are into streaming, there are many tricks that one can easily learn without needing to go to the school of hard gamers. One of such trick (not magic) is how to play music through mic. It has of late, become rather popular among gamers, even though not exactly among mainstream gamers since it is not something that many would want to use or need on every gaming day. For you to be able to have music or games played through the microphone, you may sometimes need some programs, most of which are free to download. The problem, as it is with most other programs that you can download for free is that they may sometimes come with some threats, hence you may need to be careful while downloading them. The first thing to do, obviously before setting out is to get a good microphone for streaming games, or if you don’t have that, you can make do with anyone available for now. With that done, let’s delve in. The first and most important way that I will suggest before looking for any software is to try using the stereo mix on your computer. This is not only one of the safest ways to have it done, it is also the easiest. With this, however, you can play music with or without a microphone. This means that anything you play on your computer can be heard by others, and anything you say using a microphone can also be heard by others. Go to the speaker icon on your taskbar and right click it. Once that is done, you should see “Stereo Mix.” Right click it and then click “Enable.” Once you set it as your default device, you can use it on other voice programs and for streaming or playing music to others online. There are instances when you may not find the Stereo Mix or Rec. Playback which it can sometimes come as. This is mostly because your sound card does not support the feature. In such case, you may need to install a sound card or in some cases, simply downgrade your card driver to an older version. Making use of virtual audio cable also known as VAC and Soundboard is another viable way of transmitting sounds easily and playing music through mic. While the VAC will serve the same function as a physical audio cable, the soundboard will serve as the source for the audio files. Ensure that both Cable Input and Cable Output are enabled under “Playback” and “Recording” respectively. If you are unable to see them, right click an empty space and show disabled devices as well as disconnected devices. Make CABLE Output the default mic under recording and the default device under Playback should be your speakers. The next setting will be on your Soundcard. Since we are using the Deathcounter and Soundboard, open the program and go to setting. Click on the Sound tab and under it, select the default output device for the first output devices, and CABLE Input for the second. Back to your audio device, click on Recording and in the Microphone property setting, click on the Listen tab and then select listen to this device option. Now you are set to go. You can also play music through mic using a Voicemeter and a sound bar as well as a Virtual audio cable. The good thing about this method is that it is very easy to achieve and completely free. The first thing you will need to do is to download the VoiceMeeter and EXP Soundboard and have them installed. Select “Recording” and right click VoiceMeeter Output and then select Default Device to make it thus. The next thing to do is to move to EXP Soundboard. 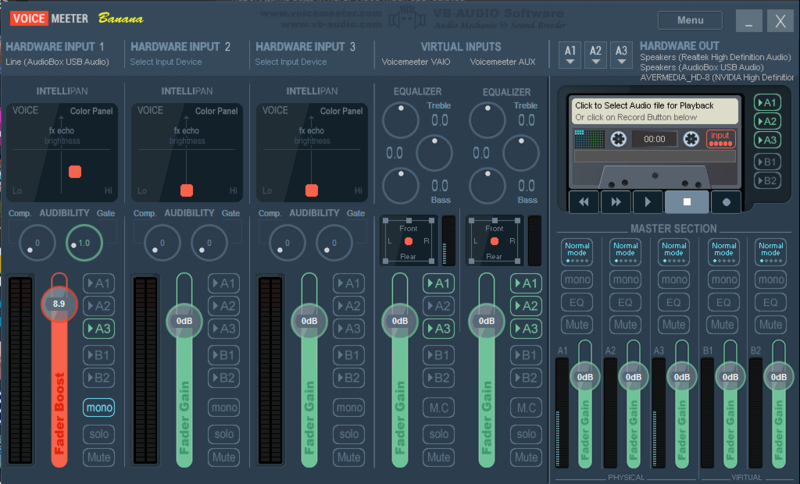 After opening the program, select VoiceMeeter Input for 1st Output and then Cable Output (VB-Audio Virtual Cable) for the 2nd Output. Go ahead on VoiceMeeter to select your mic for 1st HARDWARE INPUT and then for A1 HARDWARE OUT select your main speaker. With that, you are pretty much set to go. 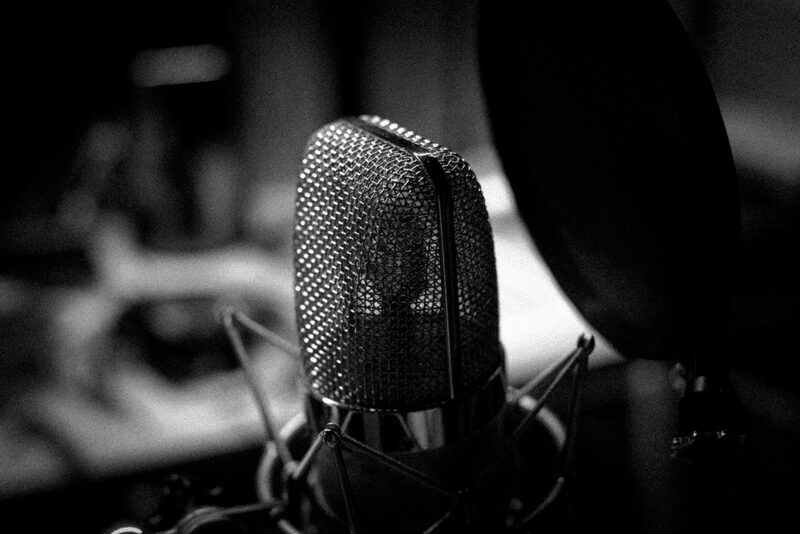 All you need to do is to make use of your mic or upload a WAV file and play it as you open your voice application which may be a game, skype or other things. Most likely, the recorded sound should be picked at the other end. If you are not a fan of free software and you want to go for a paid one, you can either go with Soundpad or MorphVox Pro, even though there are also a good number of others available on the internet providing more services than simply allowing you play music through mic. Following the above steps that have been provided, you can also get to stream the music you are listening to other people, hence you can listen to music either from Spotify or other platforms in a group. More so, you can get to stream either your gaming, music, podcast or other things with other people as well.